Social media giant Facebook has been revamping a lot of its own stuff in recent days to provide users with the smooth, easy user experience. 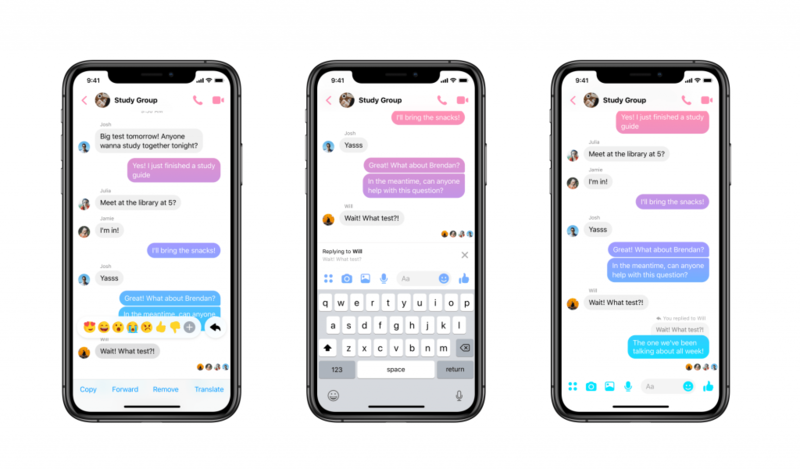 In the recent development, Facebook is adding support for “message replies”. It’s worth mentioning here that, the new feature is rolling out today. In addition to it, the company is reportedly planning to unify its messaging apps with a goal of merging threads from WhatsApp, Instagram, and Messenger. A few days back, the company rolled out a dedicated Facebook Gaming tab in the main navigation bar. This tab will help people o discover, play, watch, and share gaming content personalized for them. Dedicated gaming tab comes as part of Facebook’s recent design update to provide personalized shortcuts.